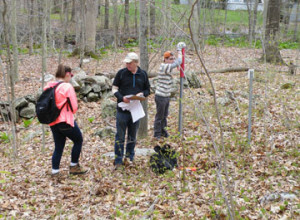 During the month of May, Rachel Ingraham and Rob Hardy, two Branford High School seniors who share an interest in the outdoors and environmental issues, were fulltime interns with the Branford Land Trust, learning about Branford’s open space and how the Land Trust works to protect it for future generations. 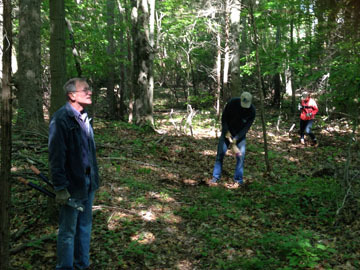 The interns visited and worked on many BLT properties and other open space locations throughout Branford. 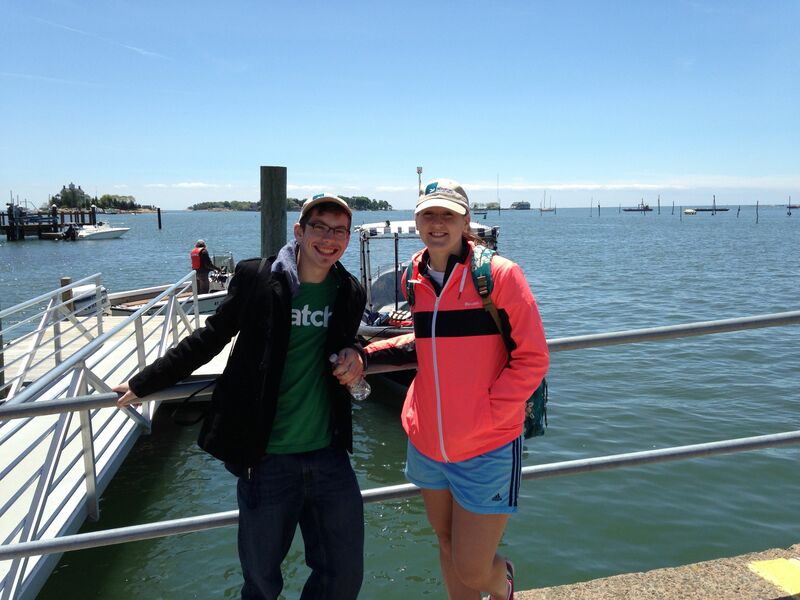 They were introduced to the wide variety of ecological communities found in Branford: forests, fields, freshwater and saltwater wetlands, beaches, rocky shores and even one of the Thimble Islands. 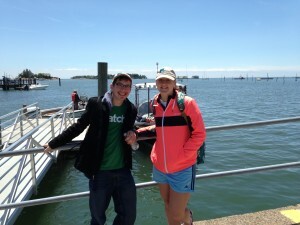 Rob and Rachel took part in many of the activities that BLT volunteers perform. They worked two days each week with BLT Director Larry Wheeler to locate the boundaries of several BLT preserves using compass and measuring tape. Once the boundaries were located, they marked them with signposts, photographed them and noted the GPS coordinates to allow the locations to be easily found in the future. They returned to some of these properties with Bill Horne to identify and photograph the biological resources that are protected there. Together, the boundary information and the descriptions and photos of the natural resources will document the current conditions of these properties to serve as necessary references for future monitoring. Other land trust-related activities in the internship included trail maintenance with Land Trust volunteers, monitoring the occupation of the numerous osprey nesting platforms erected by BLT and others throughout Branford with BLT Vice-President Jon Clark, counting horseshoe crabs with BLT Director Martha Rice during the crabs’ annual visit to Branford’s beaches to lay their eggs, and an introduction to searching Branford’s land records to gather information about the open space properties. The interns even represented Branford Land Trust during two mornings spent on Outer Island helping the Friends of Stewart B. McKinney Wildlife Refuge mentor visiting students from New Haven schools as part of the US Fish & Wildlife Service’s Urban Wildlife Refuge Partnership program. Both the Land Trust and the students benefited from the internship program. These two bright, energetic and enthusiastic Branford students helped the Land Trust make great progress on several programs that are key to the success of the Land Trust’s mission to preserve open space in Branford. In turn, the month-long intensive hands-on experience with the tasks involved in successful land conservation and environmental study provided Rachel and Rob with a deeper appreciation of their town’s rich natural resources and, they say, strengthened their interest in pursuing environment-related careers. In both ways, the internships were important investments by the Land Trust and the students that will continue to promote the future protection and enhancement of our common environment.